As an experimental machine, ITER will be equipped with a large array of diagnostic instruments to provide the measurements necessary to control, evaluate and optimize plasma performance in ITER and to further the understanding of plasma physics. Because of the harsh environment inside the vacuum vessel, these systems will cope with a range of phenomena not previously encountered in diagnostic implementation, while performing with great accuracy and precision. The levels of neutral particle flux, neutron flux and fluence are respectively about 5, 10 and 10,000 times higher than the harshest experienced in today's machines. The pulse length of the fusion reaction—or the amount of time the reaction is sustained—is about 100 times longer. In the world of tokamaks ITER will be a giant. However, its operation wouldn't be successful without such tiny elements as diamond detectors. Magnetic diagnostics provide input into the determination of the magnetic equilibrium; measure currents in the plasma or in structures; measure plasma stored energy; and control plasma shape and position. 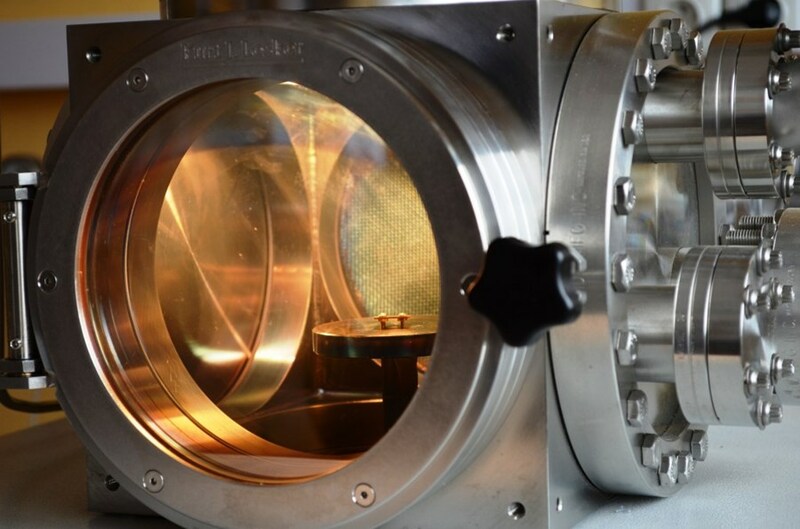 Neutron diagnostics such as neutron cameras, neutron spectrometers and neutron flux monitors provide robust measurements of fusion power. Optical systems (Thomson Scattering systems and interferometers) are used to measure temperature and density profiles at the core or the edge of the ITER plasma. Bolometric systems situated all around the vacuum vessel furnish information on the spatial distribution of radiated power in the main plasma and divertor region using sparse-data tomography. 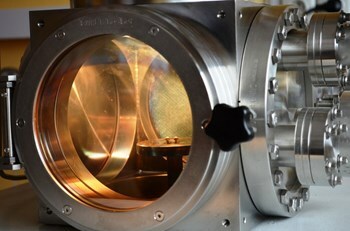 Spectroscopic instruments and neutral particle analyzers are installed to cover the visible to X-ray wavelength range, delivering information on plasma parameters such as impurity species and density, input particle flux, ion temperature, helium density, fuelling ratio, plasma rotation, and current density. Microwave diagnostics probe the main plasma and the plasma in the divertor region in order to measure plasma position. Plasma-facing and operational diagnostics aid in the protection and operation of the machine. Several wide/angle visible and infrared viewing systems will be dedicated to monitoring the conditions in the main chamber and the divertor (divertor target temperature, pressure, residual gas analyzers, and erosion, dust and tritium monitoring).